It is finally February and I couldn't be happier!! I don't know about you guys but I hated January and I couldn't wait for it to be over! In honour of February and having Valentine's Day this month I brought my pink out and paired it with polka dots. A very girly and romantic combination!! Whenever I have a day off I love to take my time and make myself and family a delicious breakfast! If you follow me on Instagram last weekend I made some yummy french toast devoured in fruit! Follow me on Instagram (here) to check out more photos!! There is nothing more precious than to have a delicious breaktfast with family Sydney. Those heart pancakes look delicious? How did you manage to get the shape? obsessed with that bag! 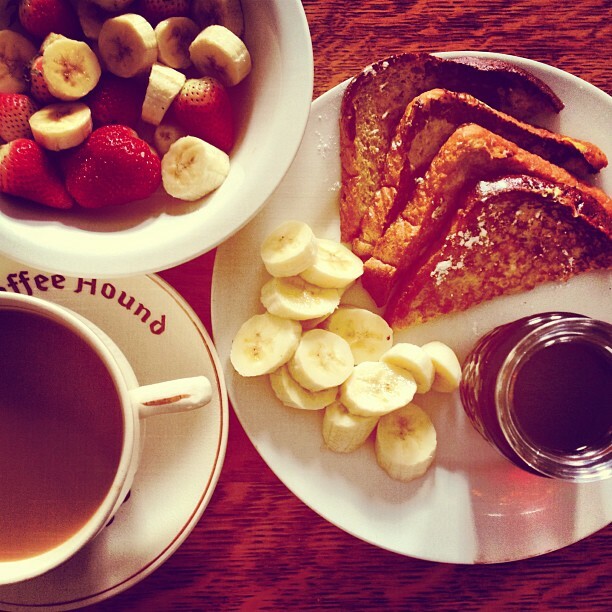 your breakfast looks absolutely delish!